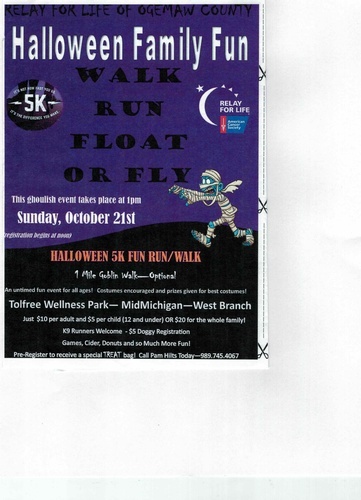 Halloween 5K Fun Run/Walk Costumes Encouraged! 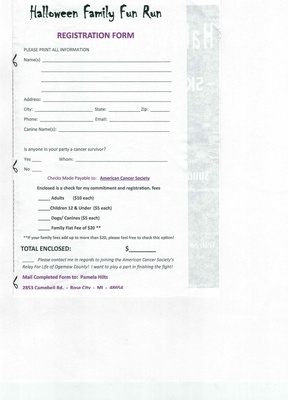 Name: Halloween 5K Fun Run/Walk Costumes Encouraged! Costumes Encouraged & prizes given for best costumes! An untimed fun event for all ages! Games, Cider, Donuts & Much More! $5 K9 Runners - welcome too!